At Master Coaching our ethos is that all students love to learn, love success, are adaptable, want more information and have unlimited powers to achieve. We believe in every student’s capacity to learn and achieve their goals whether they want to improve in a subject, sit for a selective or scholarship test, or achieve results that will allow them to undertake tertiary study. 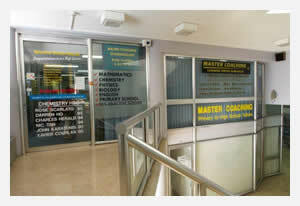 Master Coaching Hurstville has been in the educational sector for over thirteen years, tutoring hundreds of students from primary to high school from public, private, catholic and selective schools. During this period, we have refined and mastered the art of coaching, enabling each student to reach their fullest potential. We believe that once the student acquires the confidence to learn and understands the principles on how to learn, there are no boundaries. This gives them the skills to partake in tertiary study in an area of their choosing. Since the early days, we have taken pride in our standard of coaching and teaching effective planning and study methods. First and foremost we want to help students to improve, so feedback is critical at every stage of the learning curve. Master Coaching’s main ingredient for success has always been to carefully select the most experienced and inspirational coaches with the greatest passion for the subject they teach. Our coaches are familiar with the current NSW Board of Studies syllabus. Coaches undertake an initial assessment of each student to determine their starting point and learning style. A plan is then developed based on the results, and discussed with the student and their parents. Our coaches have excellent communication and presentation skills being able to clearly and concisely explain the main points of each lesson. A personalized lesson plan is then established and implemented for each student. We work in a professional coaching environment where each student is assessed and then supported to achieve their best. In our English Coaching program, students are assessed under exam conditions where they receive critical evaluation at a HSC level. Students are then allocated a group based on their needs. Weekly feedback on homework is given. The coach presents a detailed lesson on each topic or syllabus dot point, highlighting important material and ideas. 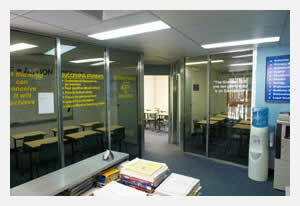 We also assist students on their assignments and prepare them for exams by teaching and practicing exam technique. At Master Coaching we are continuously improving our teaching methods and strategies. To meet the individual needs of students we ask for feedback so that we can tailor the tutoring experience. We do not promote rope learning, as it is far more effective for students to understand the content and to be able to use the information and skills in an exam.